Steroids are used to suppress inflammation and come in many forms, including topical steroids, inhaled steroids, oral steroids, injectable steroids, and IV (intravenous) steroids. Oral steroids, also called systemic steroids, systemic corticosteroids, or glucocorticoids, are a class of steroids taken by mouth and used for many human diseases, including various skin conditions. They are synthetic forms of the natural hormone cortisol, which is produced by the adrenal gland. How Do Oral Steroids Work? Oral steroids mimic the steroid hormones that are naturally produced by our adrenal glands and act on various receptors throughout the body to exert their anti-inflammatory effects. Steroids bind to glucocorticoid receptors in almost every cell of the body. These steroid/receptor pairs then bind to specific sequences of DNA to decrease the production of many different types of inflammatory molecules. What Conditions Do Oral Steroids Treat? How Are Oral Steroids Given? Oral steroids are used in both short-term “bursts” (four weeks or less) and for long-term (over four weeks) management of chronic skin diseases. Often oral steroids are initially given in a higher dose (such as 60 mg per day) to help get the disease under control, and then they are tapered to a lower dose a few weeks later. Without proper tapering, there is a risk of steroid withdrawal symptoms, including body aches, mood changes, headache, fatigue, and abdominal pain. Steroid dosage is often categorized as: (1) low dose: < 10 mg/day, (2) medium dose: 10-20 mg/day, or (3) high dose: >20 mg/day. What Are Common Side Effects and Risks of Oral Steroids? 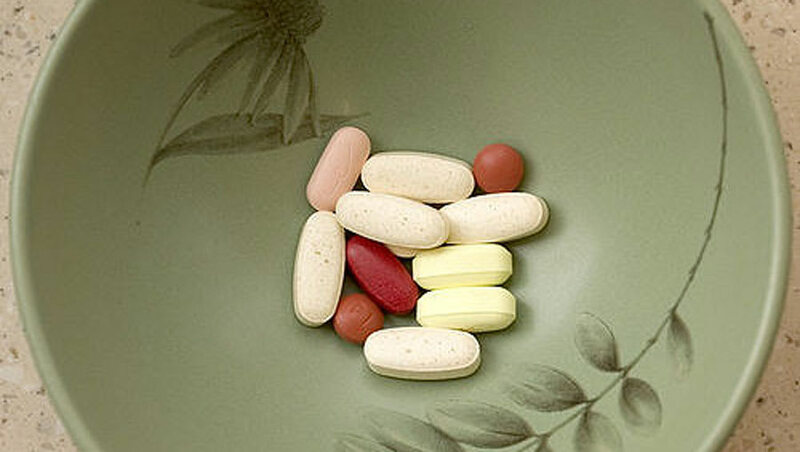 Treatment with oral steroids can involve a wide range of risks and side effects. Some patients have a much higher risk of side effects than others. For example, women and the elderly are at greater risk for osteoporosis caused by steroid treatment. Additionally, there are different side effects that commonly occur with short-term versus long-term treatment with oral steroids. High blood sugar (hyperglycemia), high blood lipids (hyperlipidemia), obesity, low blood calcium. Cho YH, Lee SY, Jeong DW, et al. Effect of pumpkin seed oil on hair growth in men with androgenetic alopecia: a randomized, double-blind, placebo-controlled trial. Evid Based Complement Alternat Med.2014;2014:549721; PMID: 24864154. Pandit S, Biswas TK, Debnath PK, et al. Chemical and pharmacological evaluation of different ayurvedic preparations of iron. J Ethnopharmacol.1999;65(2):149-156; PMID: 10465655. Thiele JJ, Traber MG, Podda M, et al. Ozone depletes tocopherols and tocotrienols topically applied to murine skin. FEBS Lett.1997;401(2-3):167-170; PMID: 9013880. Valacchi G, Weber SU, Luu C, et al. Ozone potentiates vitamin E depletion by ultraviolet radiation in the murine stratum corneum. FEBS Lett.2000;466(1):165-168; PMID: 10648834. Gupta AK, Paquet M, Villanueva E, et al. Interventions for actinic keratoses. Cochrane Database Syst Rev.2012;12:CD004415; PMID: 23235610. Black HS. Influence of dietary factors on actinically-induced skin cancer. Mutat Res.1998;422(1):185-190; PMID: 9920444.
van der Velden VH. Glucocorticoids: mechanisms of action and anti-inflammatory potential in asthma. Mediators Inflamm.1998;7(4):229-237; PMID: 9792333. Link to research. Accessed February 12, 2017. Jackson S, Gilchrist H, Nesbitt LT, Jr. Update on the dermatologic use of systemic glucocorticosteroids. Dermatol Ther.2007;20(4):187-205; PMID: 17970885. Dixon RB, Christy NP. On the various forms of corticosteroid withdrawal syndrome. Am J Med.1980;68(2):224-230; PMID: 7355893.